Intuitively understands when to turn on your heating or cooling equipment based on your home’s unique energy profile, the weather outside, and thousands of other data points to make sure you’re comfortable at all times. Home Connect technology – communicates wirelessly to security and home automation systems via Z-Wave. If you’re in search of a light bulb close to a superhero, the BeON Home Security Lighting is the perfect choice to go for. 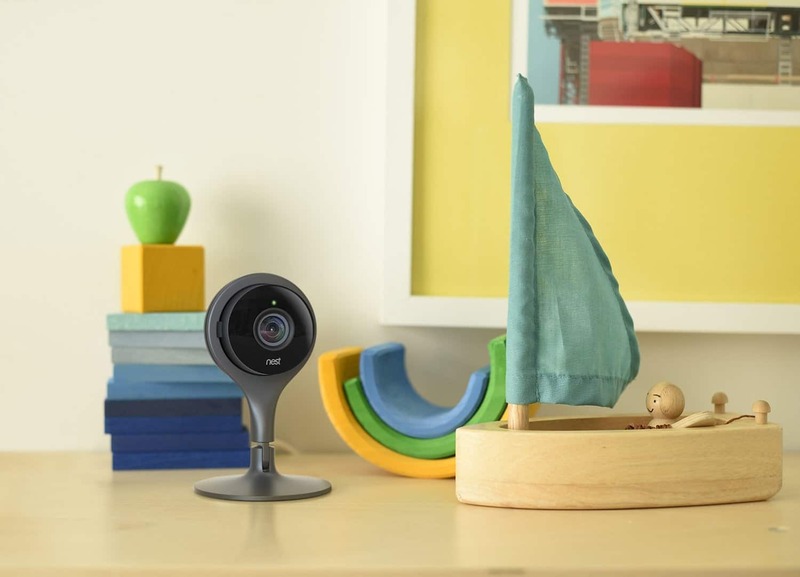 Quick and easy setup – Plug in Nest Cam and download the Nest app to get started. No hub needed. One of the coolest home automation gadgets 2016.
iDevices Switch is easy to use, connected plug allows you to control, monitor and schedule electronic appliances throughout your home using your iDevices Connected app and Siri voice commands. Amazon Echo plays all your music from Prime Music, Spotify, Pandora, iHeartRadio, TuneIn, and more using just your voice. The Totem is a complete waste disposal system. You will no longer need three separate waste containers for garbage, recycling and food waste. The Totem simply combines all of those functions into a single attractive unit. Parrot Flower Power is a sensor that can be “planted” close to a plant, indoor or outdoor, in a pot or in open ground. It precisely measures, in real time, the parameters that are crucial for the growth and good health of plants: soil moisture, fertilizer, ambient temperature, and light intensity. Beddit automatically tracks your sleep, heart rate, snoring and movements. In the morning, Beddit tells you how you slept and gives you coaching tips on how to do it better. Place the thin sensor under your sheet and download the free app to your mobile device. No wearable sensors. Showerhead with wireless speaker streams your personalized music playlists and other audio in the shower. Winbot Window Cleaning Robot clean windows automatically with just the touch of a button.Winbot cleans efficiently with 2 cleaning pads and a squeegie. Totally different from your dad’s old needle scale, the Fitbit Aria WiFi Smart Scale, one of the best home automation gadgets 2016, uses advanced technology to track weight, lean mass, body fat percentage, and body mass index, allowing you to see all the numbers you need to start living a healthier lifestyle. Accurately track your weight body fat percentage and body mass index (BMI) online.